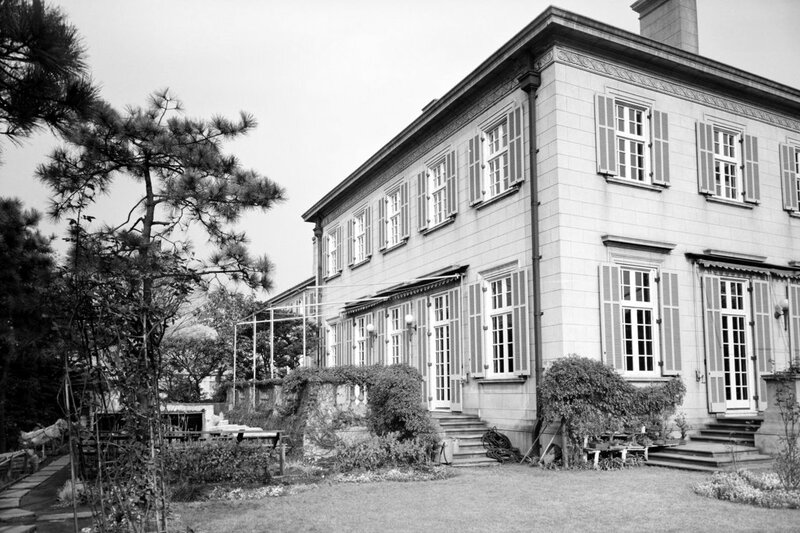 The main compound entrance, with offices behind. 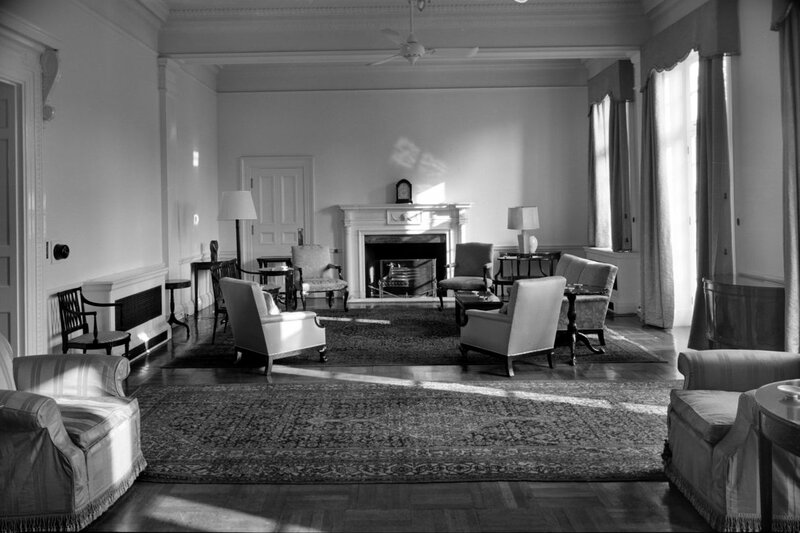 Originally chancery was on the ground floor, with students rooms and an archivist’s flat above. Oblique view, looking north, of office frontage. 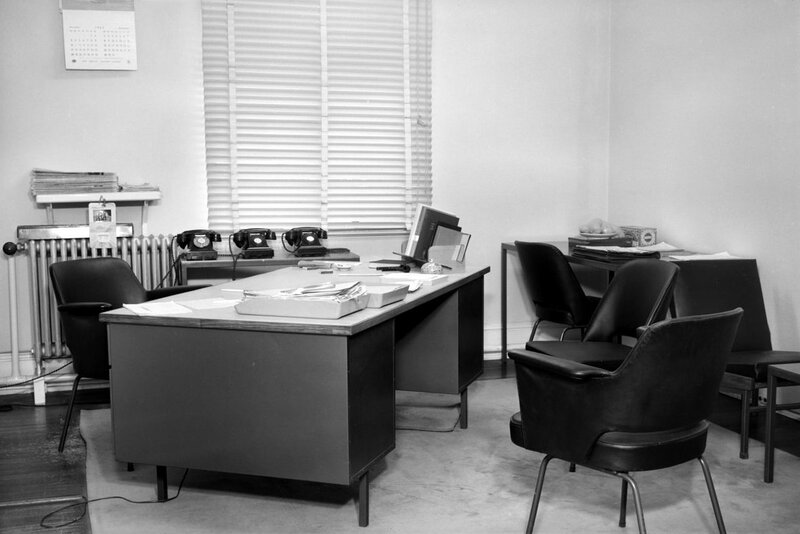 Single office, probably for a first secretary, 1964. 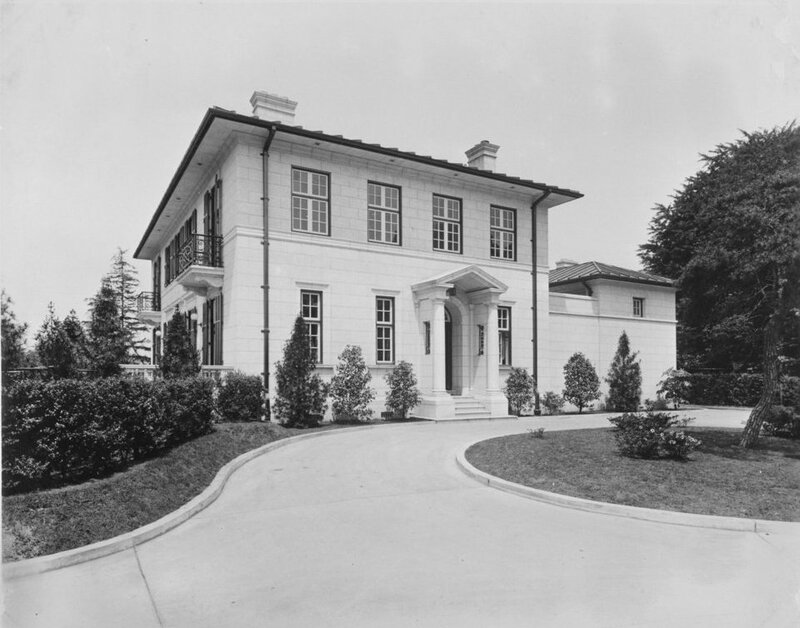 Residence entrance, on the east side. 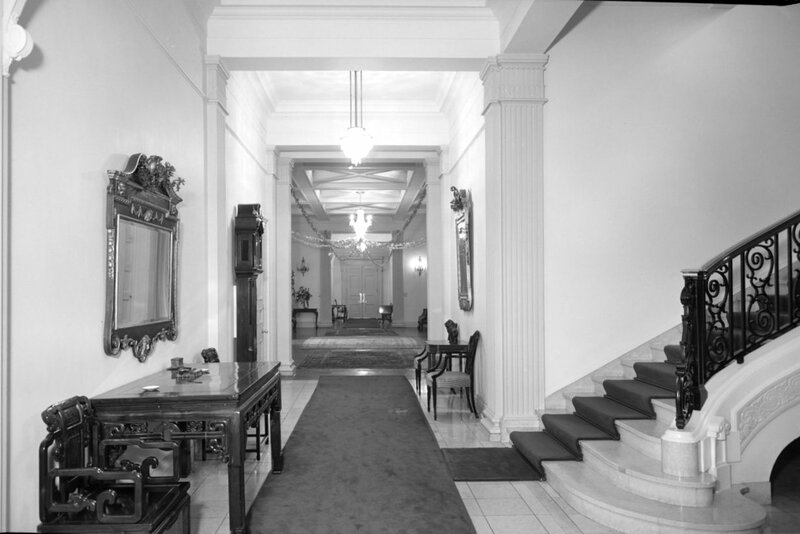 Residence corridor, looking towards entrance, with ballroom on the left. 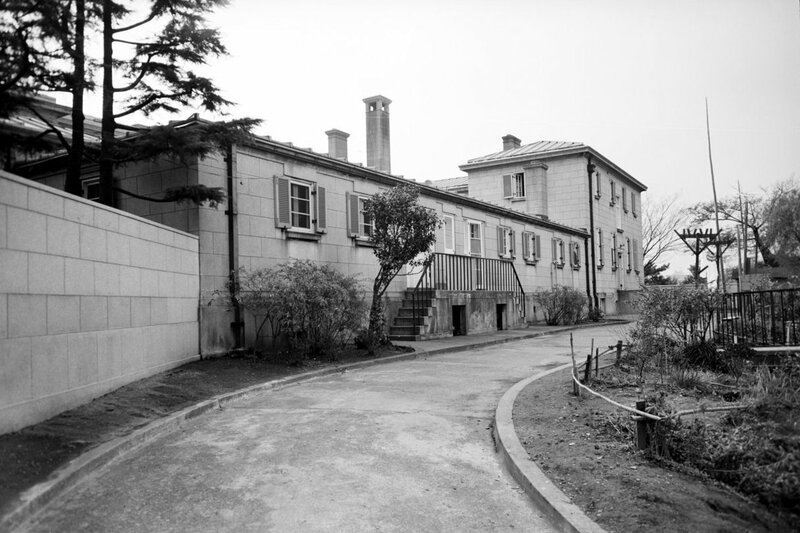 Staff and service entry at the rear of the residence. 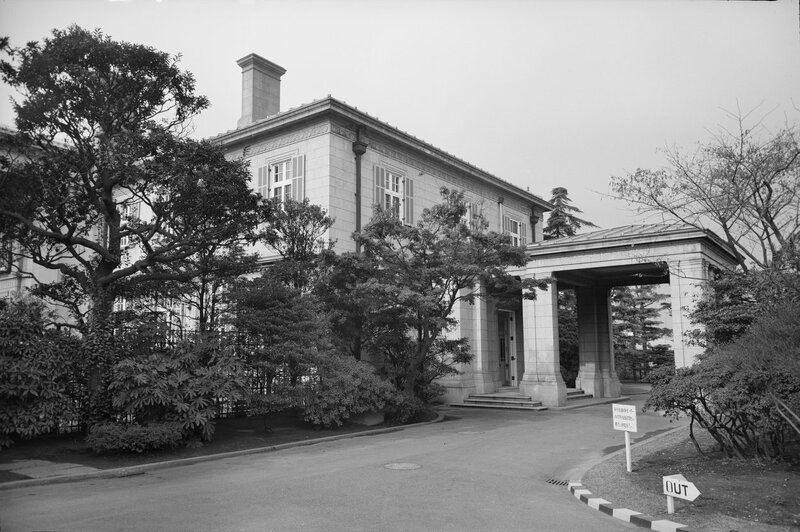 The vast destruction caused by the Great Kanto earthquake of 1 September 1923 and the rebuilding of the Kojimachi compound, completed in 1932, are described in some detail in Chapter 9 of Room for Diplomacy, pp. 185-197. Apart from some recently completed offices for the attaches and the squash court, no buildings on the compound survived sufficiently for even emergency occupation, especially as tremors were frequent and some of them strong. 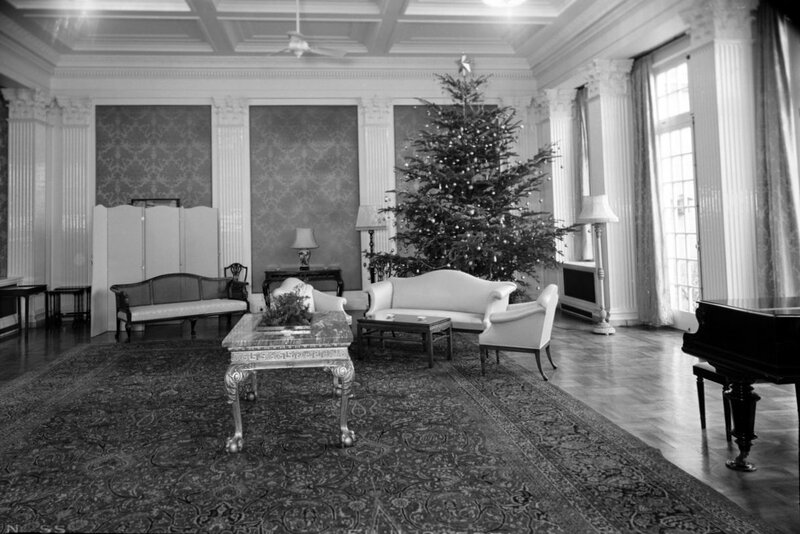 A large temporary wooden shelter was quickly put up for staff sleeping quarters, the embassy offices were found space in the Imperial Hotel, and the off-compound consulate was hardly affected in a modern stone building. 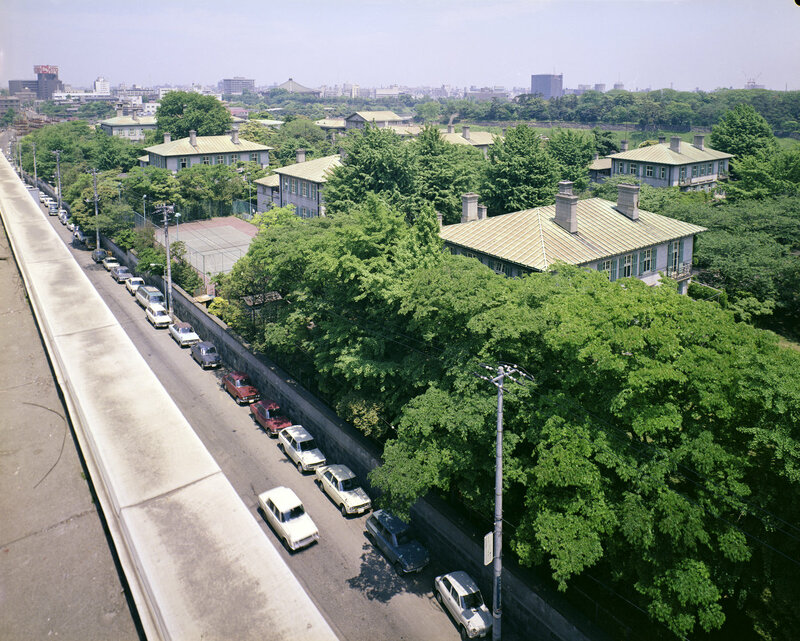 Julius Bradley, the Office of Works architect based in Shanghai, hastened to Tokyo and took the lead in works to alleviate hardships and in planning for reconstruction. Within three months, Post was proposing that a start be made on permanent reconstruction but London was dragging its feet while a host of arguments was deliberated. 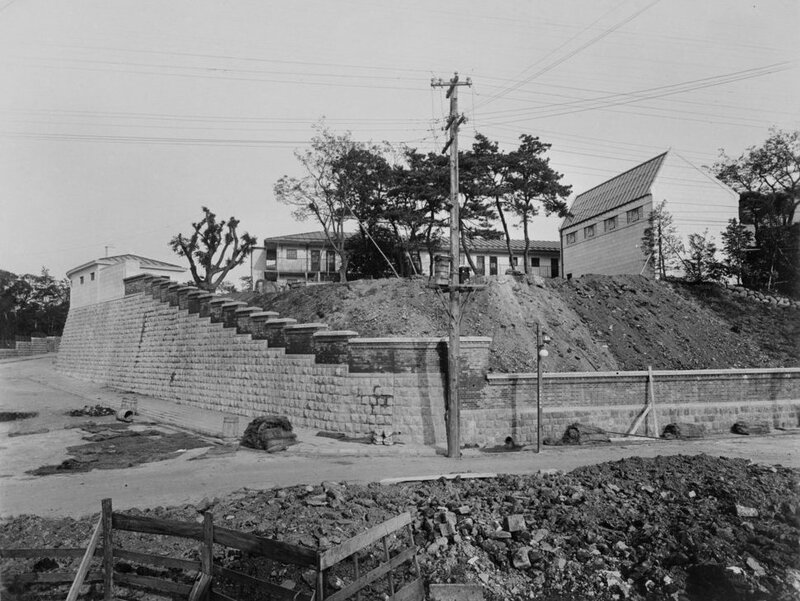 A Japanese request in mid-1925 for a strip of land for street-widening at the north end of the compound was neatly balanced by squeezing a land concession out of the Japanese at Yokohama. 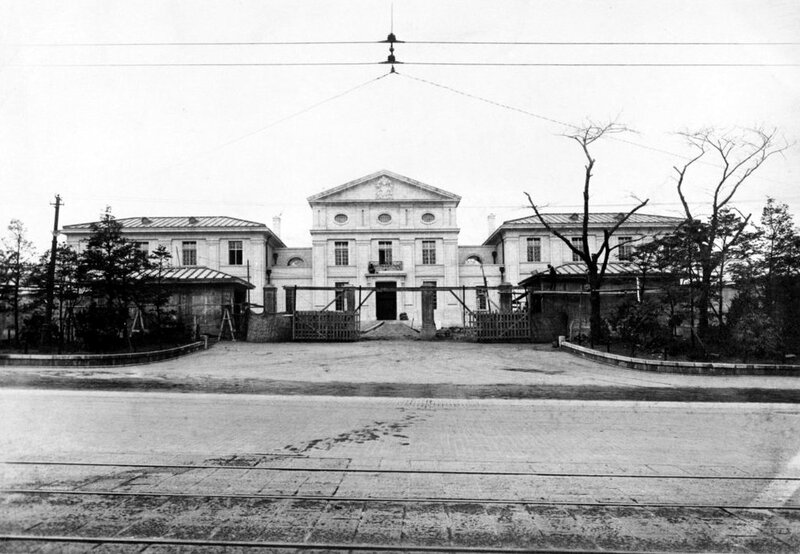 Such were the delays that permanent reconstruction did not actually start until 1929. 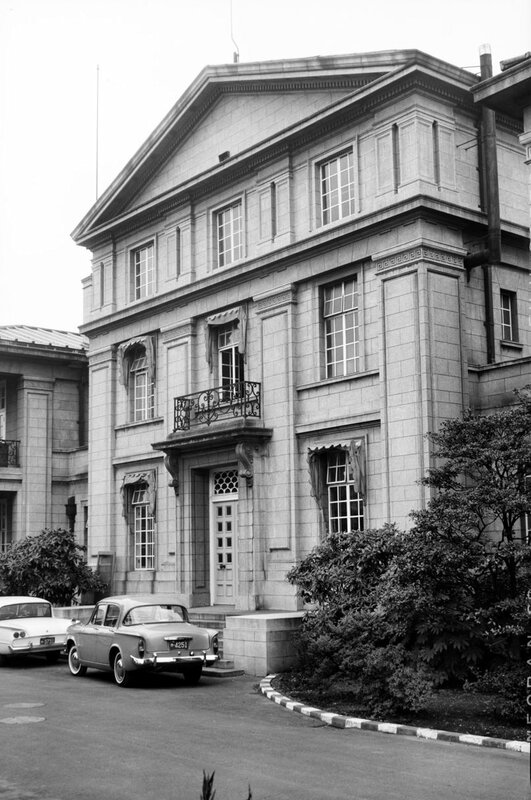 London was content for Bradley to take the design lead because he knew the compound so well, and because senior Office of Works staff were too busy to visit Japan. 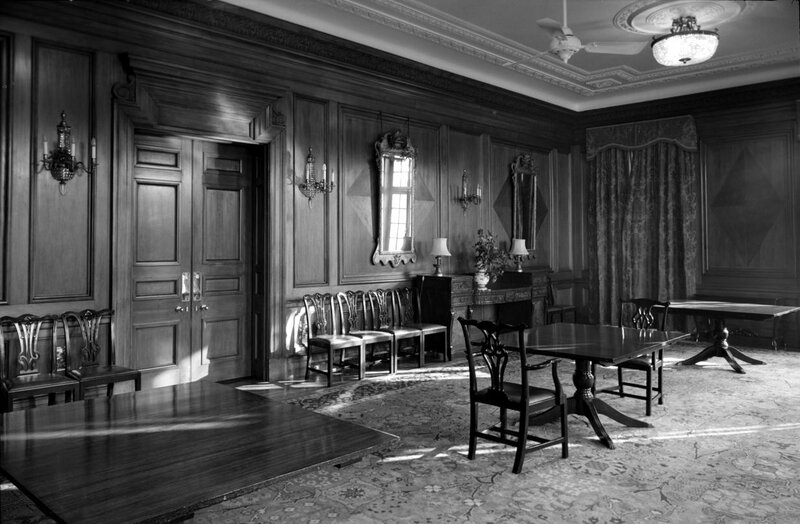 The consequence was that the new layout for the compound, and plans for the houses, more reflected the old buildings than explored new possibilities. London, to its credit, insisted on the most careful structural analysis of how to rebuild. Before much of this was resolved, the global financial outlook worsened and more years went by with bickering about details. 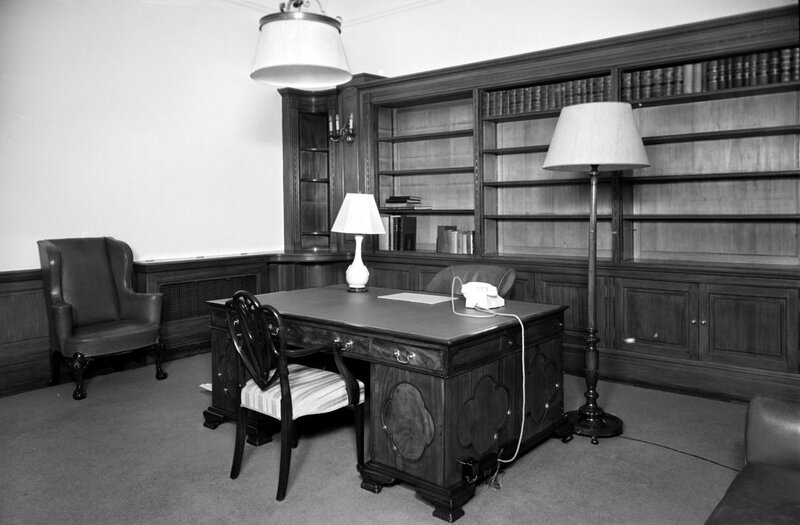 During this lull, Richard Allison, the Office of Works’ chief architect in London, took over from Bradley the design of the new residence. 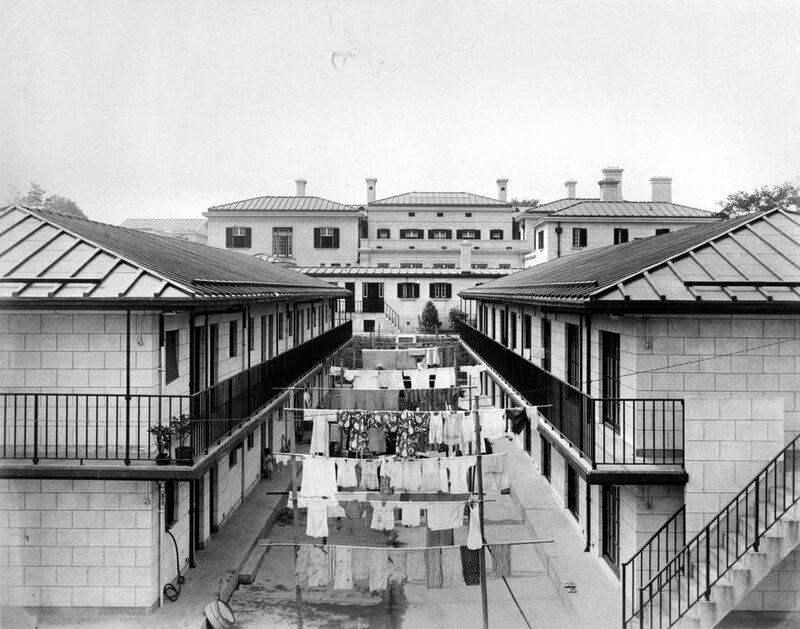 The contract for the first phase of reconstruction was eventually let in August 1928, the offices were occupied in April 1930, the residence in September 1931, and the housing at the south end of the compound in March 1932. 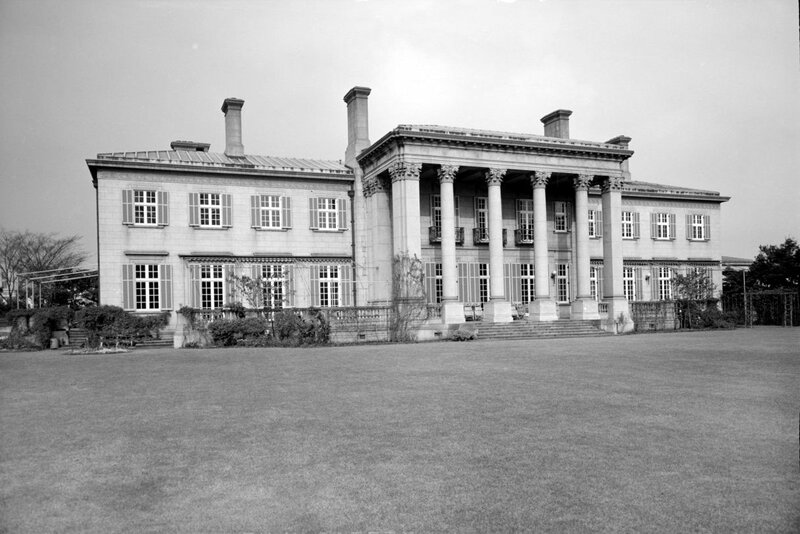 The sterling costs of building in Japan dropped steadily over the life of the project’s gestation, so that the final out-turn cost, excluding furniture, of £172,000 compared so favourably with Bradley’s 1924 estimate of £300,000 that the Treasury was moved, perhaps for the first time for a century, to compliment the Office of Works. 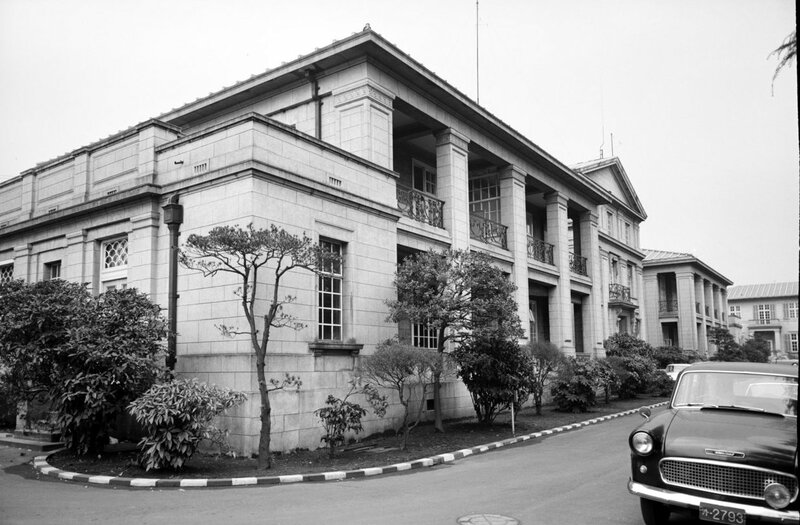 All the photographs of the 1932 compound in this section were taken by official Ministry of Public Building and Works photographers between 1960 and 1970. Centre of offices, facing the compound entrance. 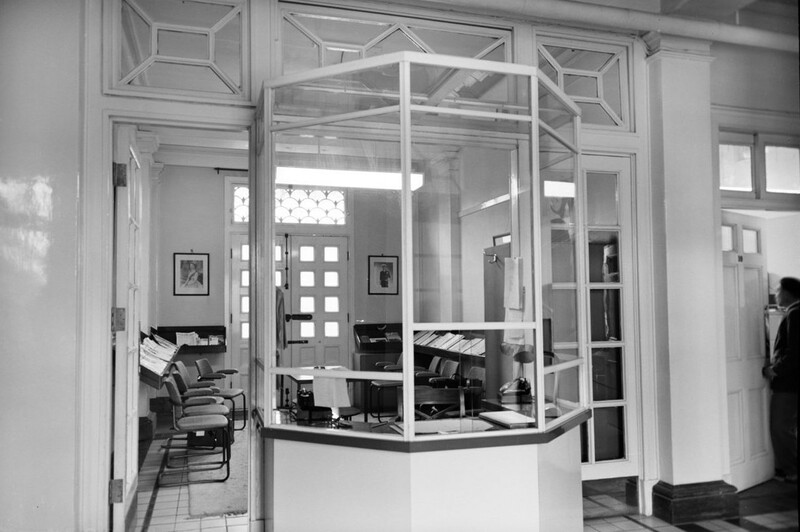 Reception desk in the offices, with waiting area behind. 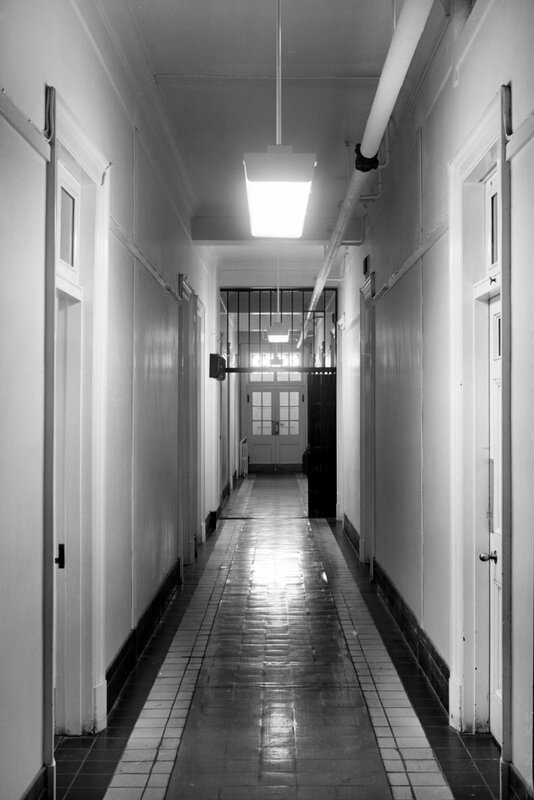 Office corridor, with grille gate. 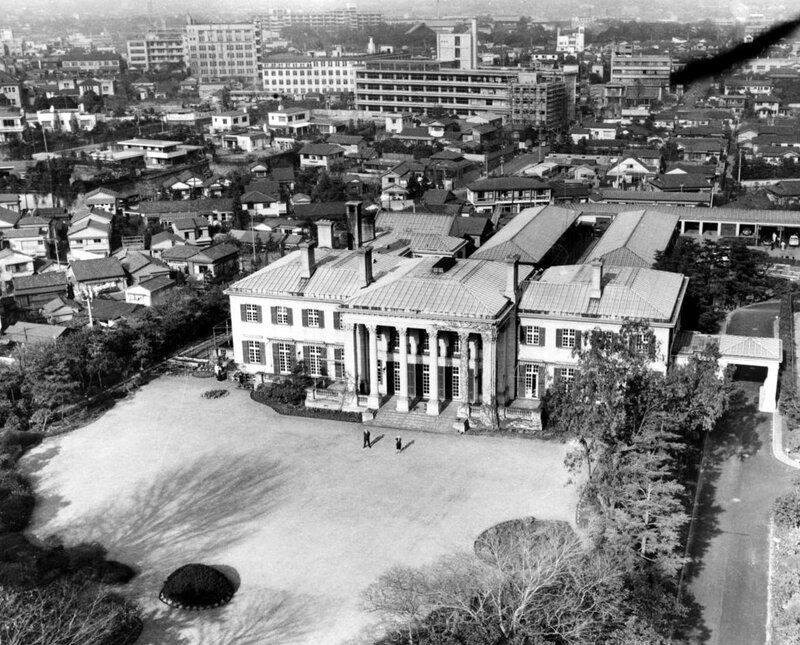 Residence from the air, looking north. 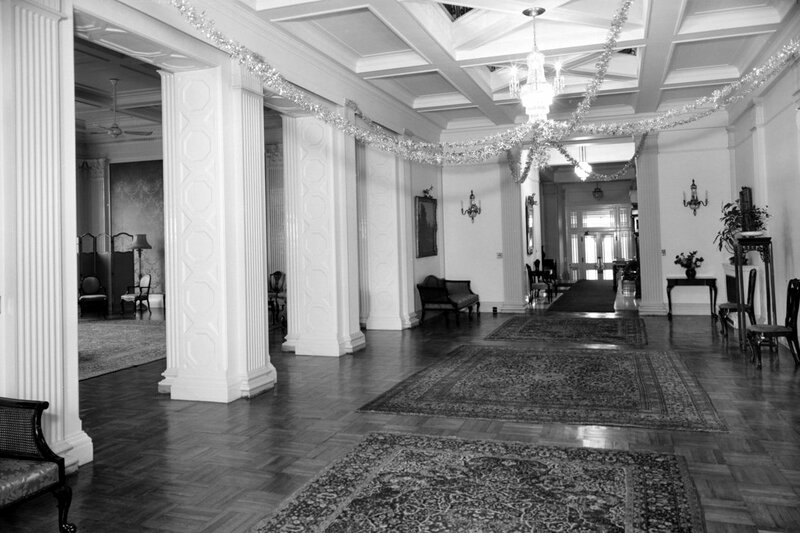 View down the corridor from the entrance, with dining room at the end. 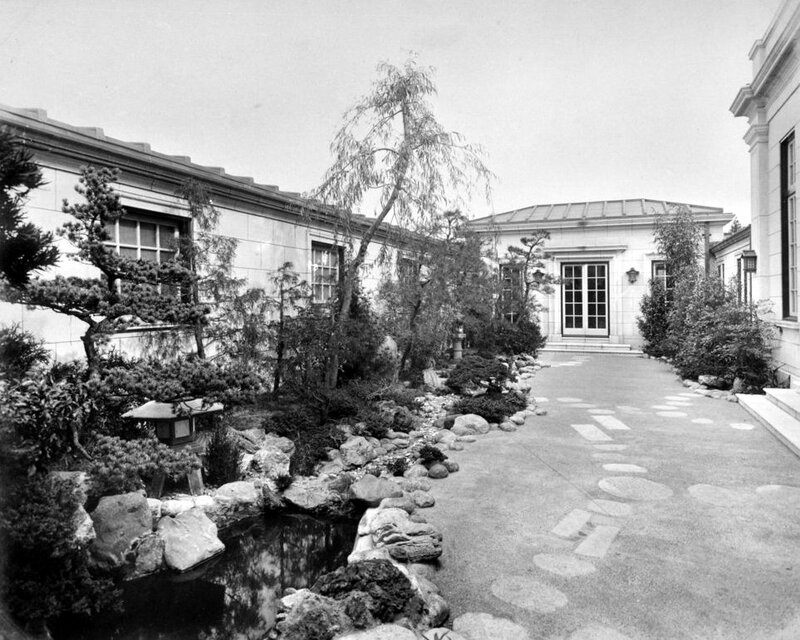 Residence courtyard, with ballroom on the right and staff quarters on the left. The ‘village’ of local staff quarters at the north end of the compound. 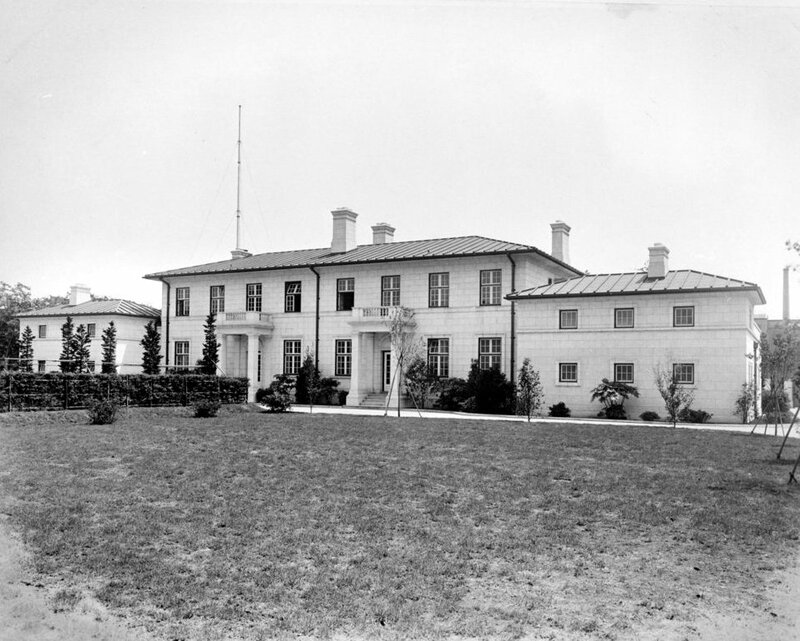 South-west corner of the residence. Retaining wall repairs at the north-west corner of the compound, with garages, staff village and squash court beyond. Aerial view looking north up the west side of the compound. 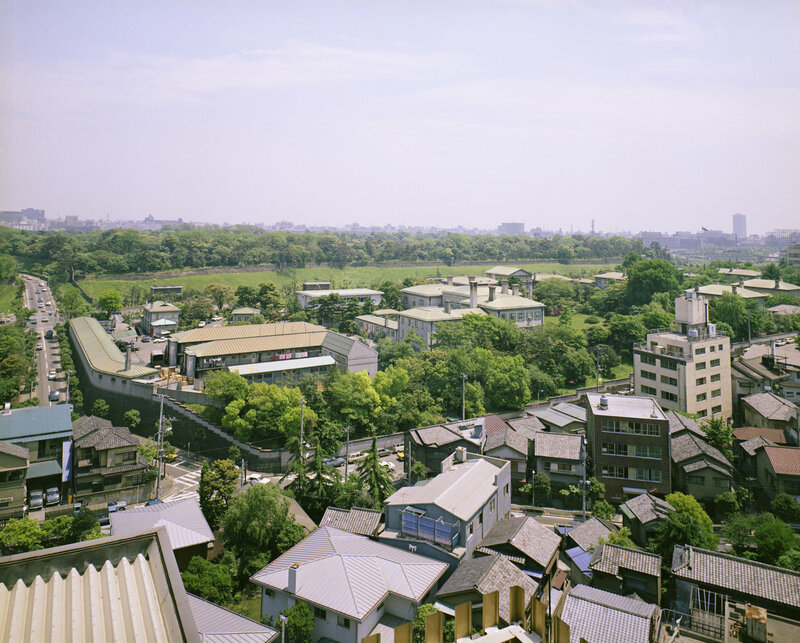 Aerial view of north end of compound, from north-west.